After the months of waiting, we have finally seen what the new BlackBerry Z10 will look like, after gadgethelplinereleased some great hardware pictures of the new mobile. BlackBerry 10 is set to be released tomorrow, along with a whole new line of RIM devices. The company is banking on BB10 becoming successful and rejuvenating the once great mobile giant. The BlackBerry Z10 has been the most talked about phone, mainly because RIM said it was real and it is set to be the top-tier smartphone. We have heard that the device may come in the market at a very cheap, non-contract price, to gain traction. One of the first true touchscreen phones that BlackBerry will release, the BlackBerry Z10 comes with a 4.2-inch screen, we hope the display can match what most Android partners are shipping out now, 1080p. Other specs have not been released but are constantly talked about, leaks say the BlackBerry Z10 will have 2GB RAM, 16GB of internal storage, and 1800 mAh battery, and an 8-megapixel rear camera. We hope they have a quad-core processor, to match most Android partners, although the BB10 OS may need less power. Right now, we are in the dark, but we are glad to see a lot of people flocking to see RIM’s top-tier smartphone, if anything, it shows there is still life in the old giant. BlackBerry 10 will be released tomorrow and RIM will continue to boost the appeal with a Super Bowl advertisement on BlackBerry 10. 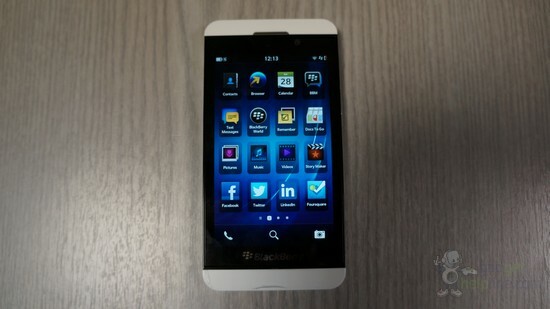 The BlackBerry Z10 does seem to be high on the tech want list, hopefully this will show when the phone is released.